Guest post by Greg d’Aboville. While offline retailers boast conversion rates between 20 and 40%, for online businesses, it’s a whole different story. Digital B2B has an average conversion rate below 10% and e-commerce is even lower at 1.6%. For mobile traffic, which now accounts for a majority of web visits, conversion rates are less clear and possibly more bleak. So, what can website publishers do to engage mobile visitors? Here are five simple techniques you can implement to turn a larger share of your mobile visitors into leads and customers. First, let’s clarify something: it’s not possible to duplicate your desktop lead generation. Mobile visitors are too different. Let’s see in what ways. Mobile visitors are using fingers instead of a mouse. As a result, their controls are less precise and they may have a hard time filling out a form or clicking a CTA. Digital marketers have dubbed it the “fat thumb” syndrome. Mobile phones have smaller screens. It means you have less space to display visuals or texts. You have to get straight to the point. Google has established strict rules for mobile interstitials. If you want to stay on the safe side, avoid using pop-ups that hide the background on the landing page. Now that we have seen why you need a mobile-specific strategy, it’s time to review your solutions. Sometimes it feels like opt-in forms have always been there. Embedded in the footer or at the end of articles, they can help you convert users who have engaged with your content into subscribers. But beware; you need to make sure your forms are adapted to mobile visitors! Use large input fields and call-to-actions. Remember, because of their “fat thumbs,” mobile visitors can have a hard time interacting with your form. Limit the number of details you’re asking for. The attention span of mobile visitors is shorter. Don’t go for long forms that will discourage them. Send them a follow-up email to qualify them later instead. If you have the option, reward your subscribers (this is true for desktop as well). Visitors always feel better subscribing knowing that they will receive a gift, whatever its form. Like email forms, landing pages have been around for quite some time. Their objective is clear and simple: convert the user. To do so, marketers try to limit distractions and often remove all links that would allow the visitor to leave the page. Again, the real difficulty here will be to adapt your landing page to mobile visitors. Make sure your page displays well on multiple phones. Test your input fields and call-to-actions. Check how hard they are to use and how long it takes to fill in the form. Limit the number of fields. Here’s a good example on Intercom. 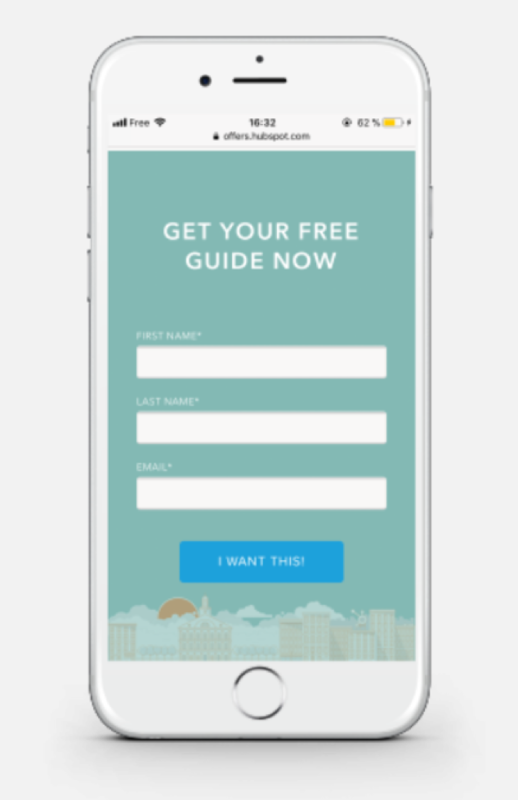 The landing page features only one email field and a large call-to-action. Email pop-ups are email subscription forms embedded into a window that is displayed on top of your website. They allow you to show a visible invitation to subscribe. Usually ,they’re associated with elaborate display scenarios to maximize their results (e.g., display pop-up Z if user is viewing a page in the Z category). Make sure your pop-up doesn’t take more than 30% of the user’s screen (to be tested on a few phones). Avoid heavy creatives and test your pop-up loading time. Again, check how easy it is to fill in your pop-up form. Email bars are very similar to email pop-ups. The difference lies in their format. They’re simply thinner. 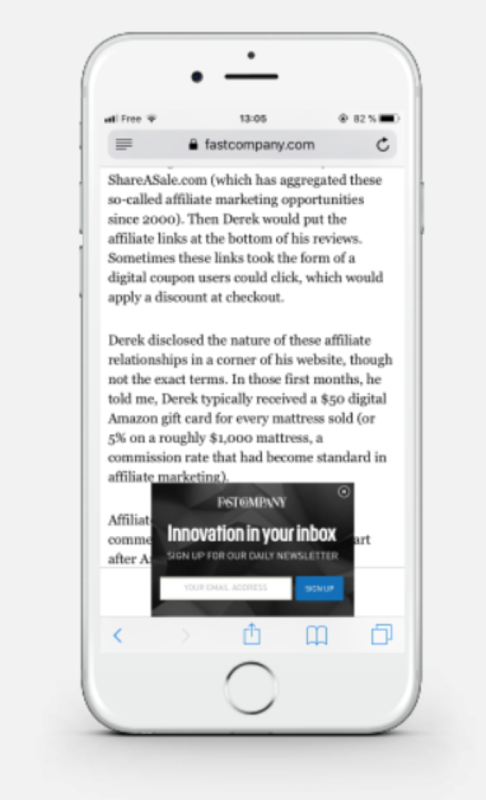 Check out the AddThis Link Promotion tool to enable an email bar that is automatically optimized for mobile! Automations have given live chat a second life. 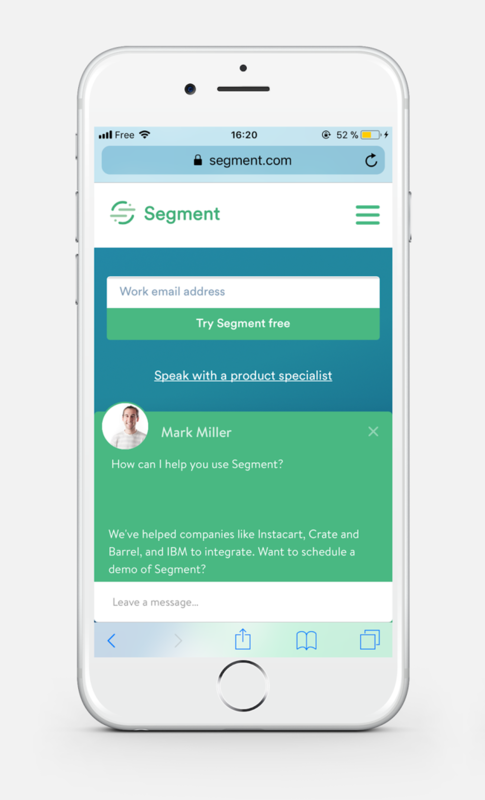 Until recently, what was a way to reach out to customer service reps or salespeople, has become a way to engage visitors automatically. 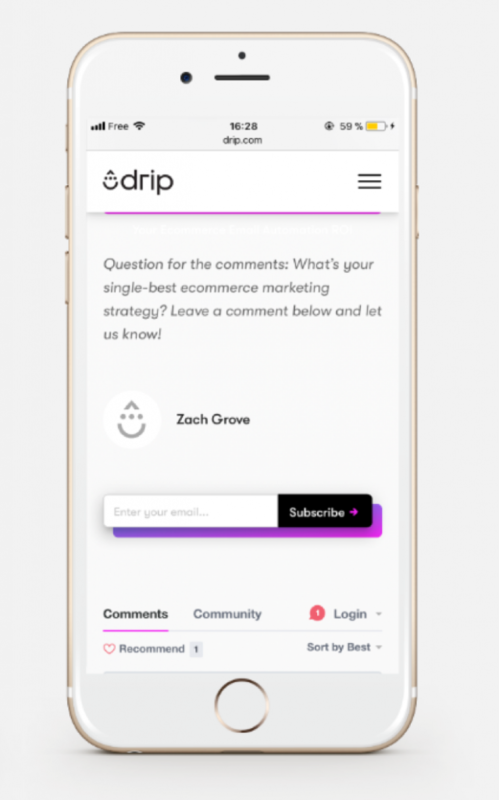 It’s now possible to configure these chats to ask for your visitors’ email or simply send the emails your customers share in the chat discussion to your email list. 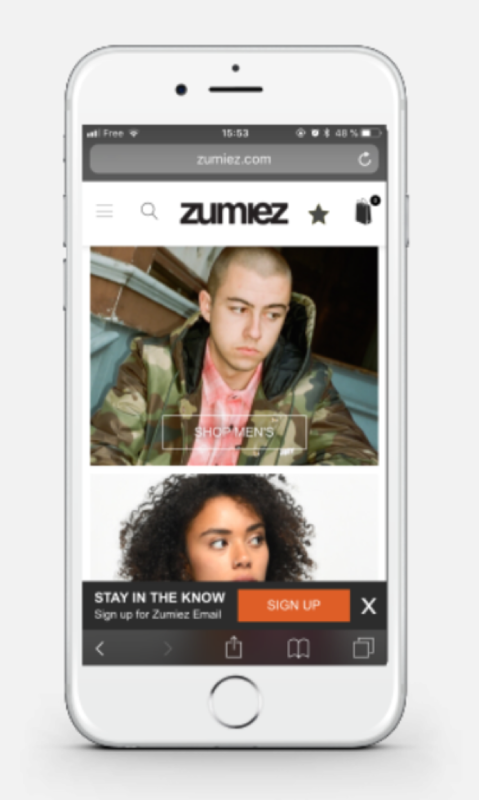 Ready to use live chats to collect more emails from your mobile visitors? Test different live chat providers and control their look and feel on mobile. Test different lead capture scenarios. Segment your different scenarios according to the page the user is on. For example, “Would you like more articles about Z? Leave your email below” on articles about Z. 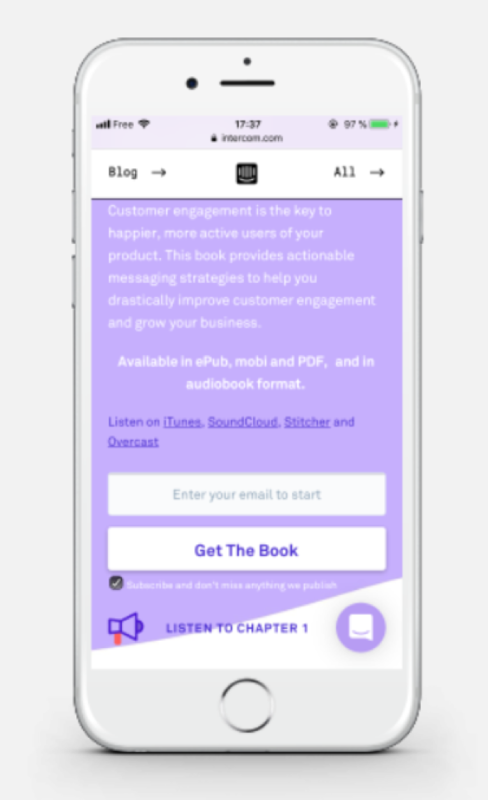 Now that you have a handful of simple techniques to apply to your strategy, it’s time to go boost your mobile lead generation efforts. 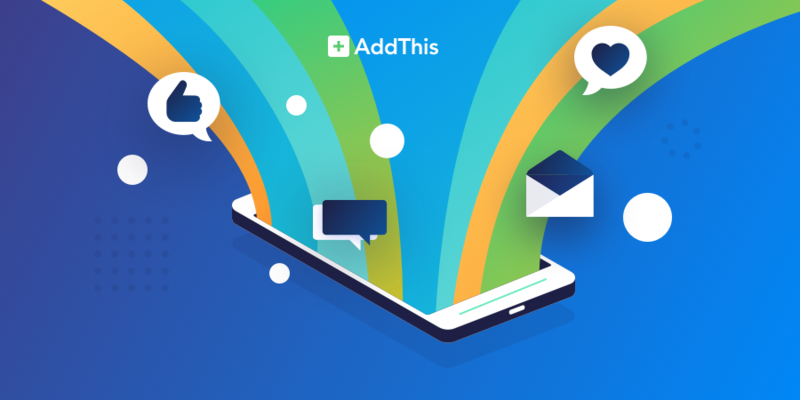 Be sure to take advantage of the free ecommerce tools from AddThis to help you grow your online store! Have you tried one of these techniques yet? If so, share your experience in the comments! Greg works at WisePops, a solution that helps marketers create email pop-ups.